Oliver Queen is in for the shock of his life-in the electric chair! The vigilante Citizen kidnaps Oliver and subjects him to the court of public opinion on a worldwide broadcast, and a guilty verdict means a death sentence. 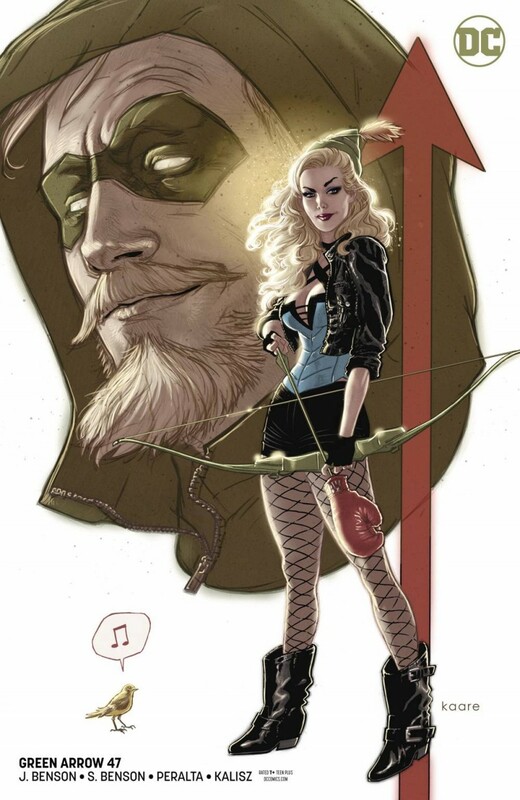 It’s up to Black Canary and attorney Kate Spencer to rescue Ollie so he can expose Citizen’s true identity and prove his own innocence. And they might even have a chance with a little help from Green Arrow?what the what now?